A new restaurant’s menu claims that every entrée on the menu has less than 350 calories. A consumer advocacy group hired nutritionists to analyze the restaurant’s claim, and found that 1 out of 25 entrées served contained more than 350 calories. If you go to the restaurant as part of a party of 4 people, determine the probability, to the nearest tenth of a percent, that half of your party’s entrées actually contain more than 350 calories. 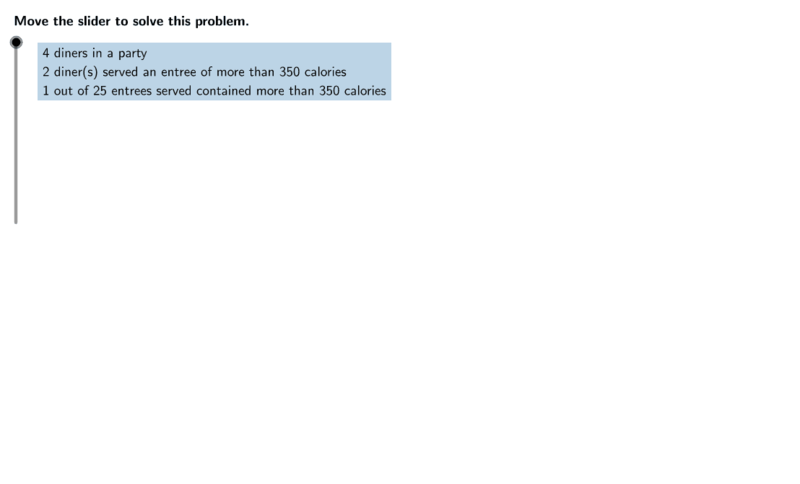 Calculate the probability that half of the meals served to your party contain more than 350 calories.